The Summit is an annual tradition here at Green Ronin Publishing. Scheduled out for roughly the beginning of the fourth quarter of the year, it’s a time when the many far-flung Ronins converge on Seattle, for several days of planning for the upcoming year, allowing us to brainstorm new products, organize a schedule, and take stock of where the company and its Ronins stand. Over the years I’ve been part of Green Ronin Publishing, I’ve come to distinctly look forward to these events, and with good reason. They’re not just a time to get planning work done (though we do plenty of that). That time is bookended by opportunities to socialize, to game, and in general to just spend time with one another–something that our Ronins don’t get much of a chance to do as a group, given how far-flung we are from one another in our day-to-day operations. Naturally, we can’t resist recording the event on social media and the like these days, and I’ve had a couple of people ask exactly what happens at these Summits, so I figured I’d give a peek into what our time is spent doing. The Summits are weekend events, so many of us come into town on Thursday and Friday. This means flights for some of us, though I’m lucky enough to live within a three-hour train-ride up the Washington coast from Seattle, personally (a highly recommended trip if you’ve never made it). 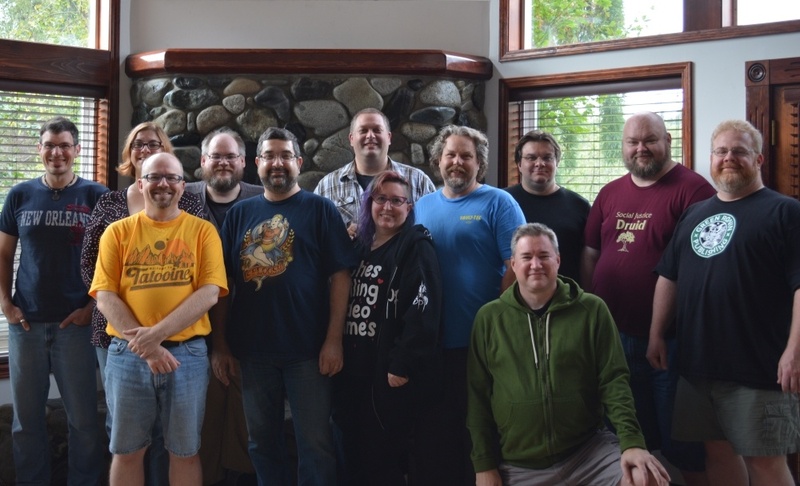 This year, we held the Summit at a large rental house, outside of Seattle proper, having grown too large in number to continue to invade Chez Ronin! So on Friday, after gathering the troops, we departed Seattle proper and made our way out to the countryside, to a big, beautiful house beside the Skykomish River. The rest of the evening was dedicated to settling in, catching up, and dinner with a big pot of Nicole’s chili. Saturday was our first work-day. Beginning with a simple breakfast (and some time watching the mist come off the river on the house’s ample back deck, tea in hand for me) we got into the process. Generally speaking, we spend an hour or so looking at each of our lines, examining where the current schedule is at (making adjustments as necessary) and coming up with ideas for however many titles we need for the upcoming year. Generally speaking, we all come to the Summit with ideas in-hand, so it’s a pretty smooth process. That evening featured marinated chicken tacos, some time beside the firepit, and even a few games here and there. Sunday opened with an awesome pancake and sausage breakfast, courtesy of Barry and Steve. 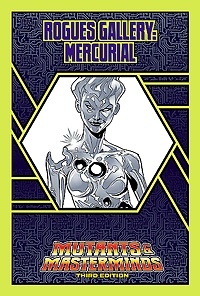 Sunday we reserved for topics not directly tied into specific game lines: discussion of new products and other brainstorming, a look at marketing and our volunteers and convention support programs and the like. Then – the new schedule. Having figured out what books we wanted to do for each of the lines, with a rough idea of when we wanted to have them, we slotted all of them onto a master schedule (the SCHEDULE OF DOOM according to the Summit’s schedule of events!). Finally, with all of our work officially drawn to an end, we broke out the grill and Evan and I grilled up some burgers and brats…okay, Evan grilled, and I basically handed him stuff. With Monday as a travel day for most of us out-of-towners, it saw us up bright and early to close out the house and get to various travel depots. On the way home, I couldn’t help but recognize that the Summit had done its job in more ways than one. Yes, the accomplishments of hammering out the logistics of another year’s release schedule are there, certainly, but there was more. Having had the chance to spend great quality time with some of the best folks I know, talking about the games we love and the things we create? I always leave the Summit excited for what the coming year holds, looking forward to seeing some new books on shelves, and new additions to games I love. And really, we can’t wait to share what we’ve got coming ahead with all of you.